Conveyancing Liability Solutions Limited (CLS) market leading title and chancel insurance providers are delighted to announce that we will be changing insurance capacity providers from Great Lakes Reinsurance (UK) Plc to ERGO Versicherung AG for online insurance policies from 18 December 2014. From 18 December 2014, all insurance policies from CLS online will be underwritten by ERGO Versicherung AG, UK Branch. CLS will provide the same scope of insurance policies (ChancelSure & ConveySure) but they will be updated in structure with a brand new look and feel. The cover of our policies has been expanded, so they can be issued online in more cases than ever before. ‘Underwriting Criteria’ will be re-named to ‘Statements of Fact’ to ensure clarity on disclosure required by conveyancers. All quotations issued by CLS on behalf of Great Lakes Reinsurance (UK) Plc will remain available to you and your clients until 18 December 2014 when the insurer changes. Quotations will need to be reissued (and therefore re-ordered) post the 18 December to include the new insurer and new cover. 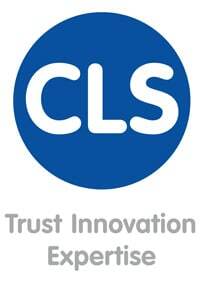 To coincide with this change, CLS are updating and refreshing the look of ChancelCheck. ChancelCheckPremium and TitleChecker products. This change will also take place on 18 December 2014.